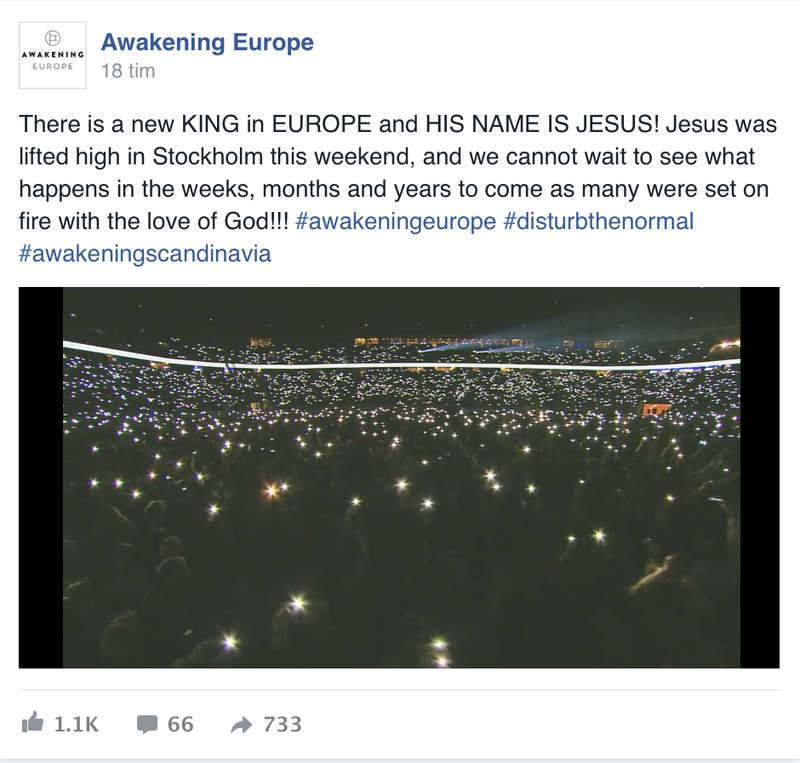 Last Saturday, I spent the evening at a Christian event organised under the name of "Awakening Europe". I listened to Jake Hamilton sing and Todd White preach. Later on, there was also a session of prayer for the Holy Spirit and healing of people. Some people testified that they were healed. It was an interesting and inspiring evening, for sure. As I woke the next day, I was given a revelation: I don't believe in miracles. I'm a sceptic and a doubter. Somehow, in my ability to doublethink, I believe it can happen for others, but not for myself. I'm to rational. And this is damning. James said that we have to have faith and doubt nothing to receive liberally from God. I haven't received anything close to liberally from God, so I either don't have faith or I'm a doubter. I guess I'm a both. When I thought of this, I want to ascribe it to religion. I also noted that Todd White, as he related his story, had been truly lost and was found, truly blind but now can see, and dead, but now is alive. 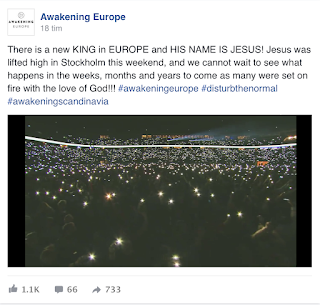 Jesus has really come into his life and totally changed it. He was cold, but is now hot. The same thing cannot be said of me. In my religious experience, I've believed that I'm hot, but I've been lukewarm. I've been a believer of many things, and I've been taught (by tradition and culture) that this equals faith and trust in God. Now, when I've woken up to the fact that faith is altogether something different, it's hard to step it up. The danger of being lukewarm is that it's hard to see that you're not warm enough. It's hard to let God heat you up for it will cause a lot of commotion.